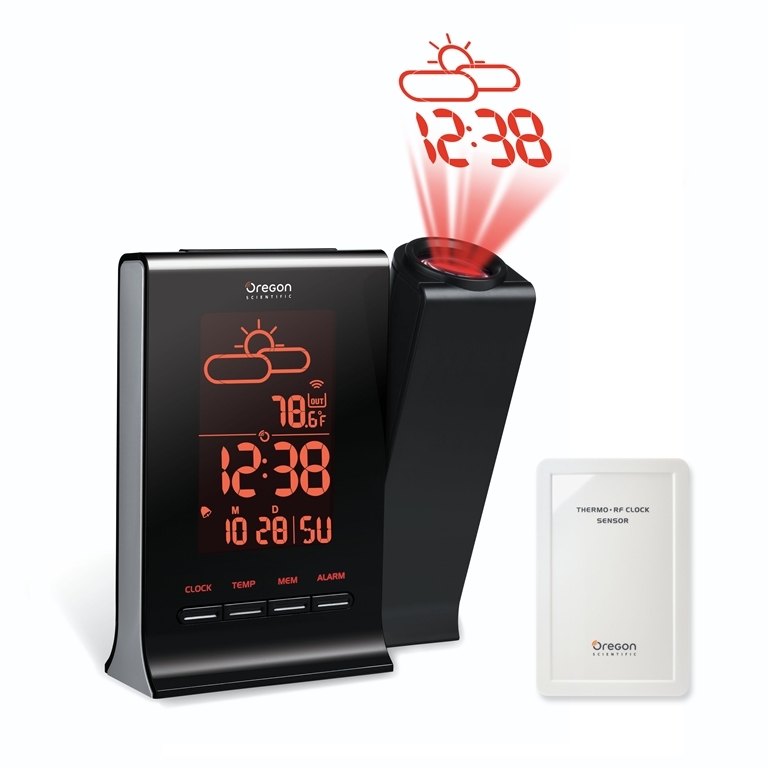 Oregon Scientific BAR339DPA Daylight Weather Projection Clock features a dual line projection of the future weather forecast, with a toggling display of time/outdoor temperature. The projection arm adjusts for display on your ceiling or wall. The integrated light sensor detects the current light levels and automatically adjusts the projection beam to the perfect level of brightness, making it easy to see the projection at even the brightest time of day. An included wireless sensor gives you the precise outdoor temperature and the calendar, which displays in your choice of 5 languages, keeps you on schedule. This may be the best atomic projection clock Oregon Scientific has made! My rating on 5-29-2017 is changed from 2 stars to 5 stars. I just read that you press the snooze button to rotate the image. It helps to read the instructions a little more carefully. It is a very nice unit. I needed a sensor for my BAR339DPA and was suggested the RTHN129 Now I can use my the atomic clock again! Easy to see and I haven't had any issues with the sensor, so far so good!